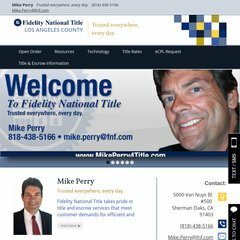 Topics: Documents & Forms, So Cal Title Rates, Fast Facts, and Good Faith Estimate. ns63.domaincontrol.com, and ns64.domaincontrol.com are its DNS Nameservers. It is hosted by Xo Communications Virginia, using Microsoft-IIS/6 web server. It is written for ASP.NET language. PING (206.111.149.77) 56(84) bytes of data. A ping to the server is timed at 56.8 ms.